Humans have been expressing themselves by scrawling on walls since the earliest people lived in caves. But it wasn’t until the 1970s that we started taking our messages to the walls, trains and sidewalks of urban environments around the world. The graffiti movement, seen by some as mere vandalism, actually encompasses some impressive and talented artists. 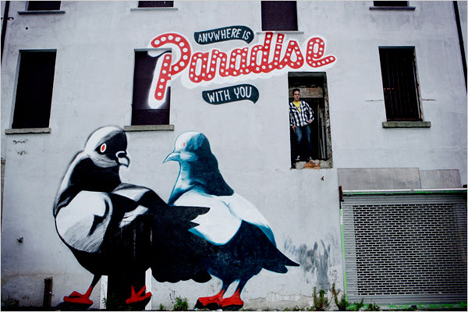 They’re attracted by the freedom that graffiti provides; the ability to simply make something without constraints. Some are also involved in more widely-accepted art forums, such as gallery shows, but many choose to remain anonymous and shrouded in a world of secrecy, pseudonyms, and spray paint. 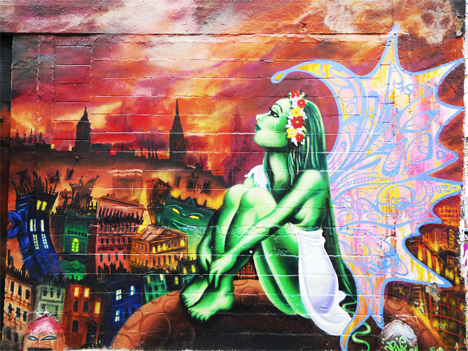 Female artists are usually under-represented in the graffiti world for a variety of reasons. 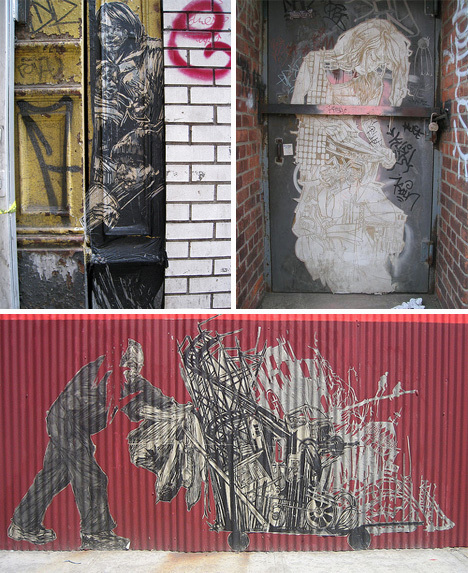 But Swoon is one woman who has made a name for herself both as a street artist and in the more conventional art world. 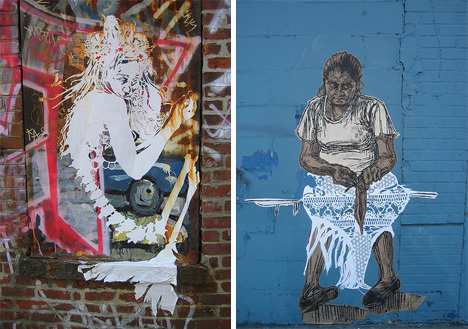 Her signature style of paper cutouts and wheatpasted prints, often featuring women and ethereal scenes, has been appearing all over New York since the late 1990s. She also helped to found the public art collectives Toyshop and Miss Rockaway Armada. 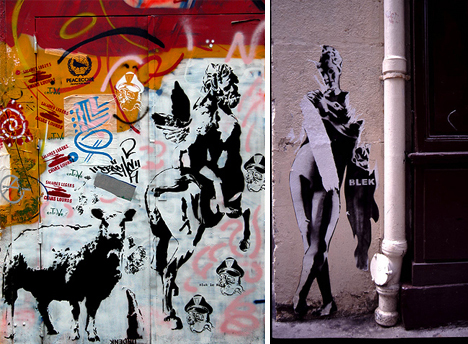 While her art has appeared in galleries around the world, she has said that her street art remains the thing that drives her. 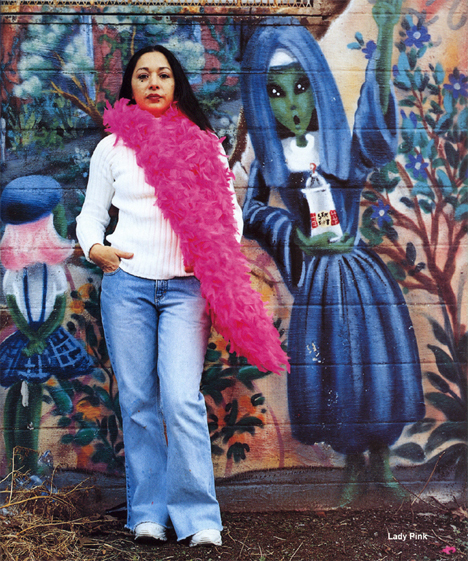 In the 1970s, females just didn’t write graffiti – so when Lady Pink decided she wanted into that world, she had to prove herself. She had to be able to keep up with the guys, climb fences, and prove that she wasn’t just a thug with a spray can. It only took her a few months of writing before she had the respect of just about every graffiti writer in New York and a place in one of the art world’s first graffiti-based shows. Juggling her time between fancy art shows and sneaking around in dark train tunnels, Lady Pink kept her name out there. Today, she and her artist husband run a mural company, painting colorful legal murals and holding mural workshops for kids. 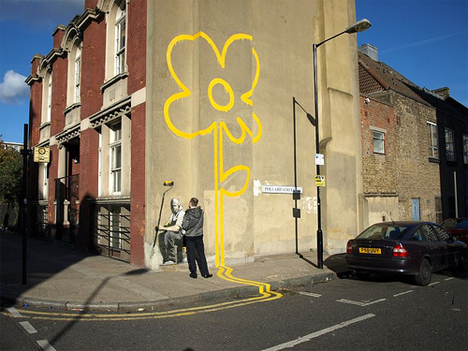 As one of the world’s best-known graffiti artists, Banksy‘s stencil-based street art has appeared around the world. His identity is still unknown to the public, despite several claims that he had been identified. 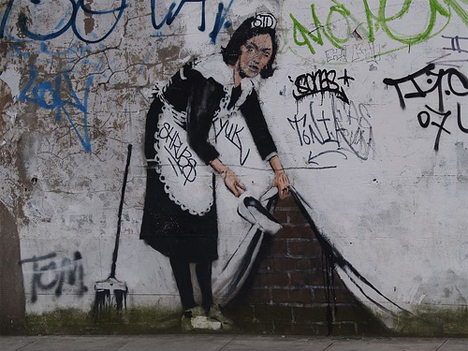 Banksy‘s style is often satirical, poking fun at commercialism, the police and war. While he started out writing and stenciling around the streets of southern England, he’s since had several solo gallery shows and published five books of his art and writing. Steve Powers, better known as ESPO, is well known in New York City. His gutsy writing usually took place in broad daylight and consisted of his bold tag on closed storefront grates. After six felony charges and a home raid by the transit police’s vandals squad, he’s given up illegal writing but maintained his creative pursuits. His procurement of a Fulbright grant in 2007 was just about unprecedented – being an art school dropout with a long arrest record, he didn’t seem a likely candidate. But his accomplishments in the art world, along with his talent and vision, won him the coveted grant. 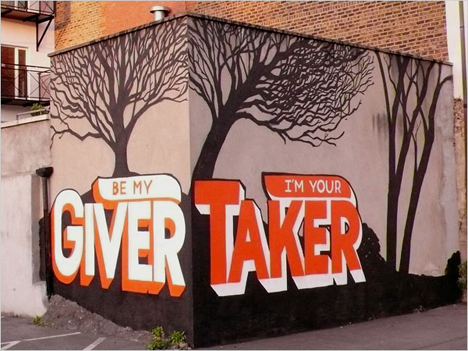 His Fulbright work involved creating a public art project with troubled youth in Dublin and Belfast, showing them how to create their own powerful images. 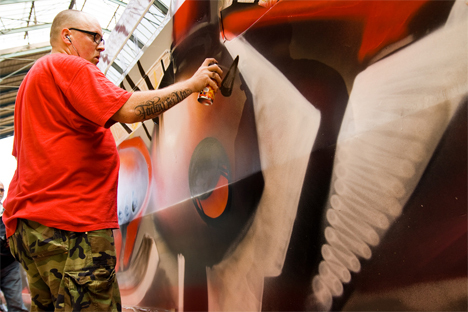 German graffiti artist Claus “Seak” Winkler has evolved an extremely cool, distinctive and compelling style. His street graffiti often looks like monsters or strange alien creatures, but always in a smooth and stylized 3D fashion. 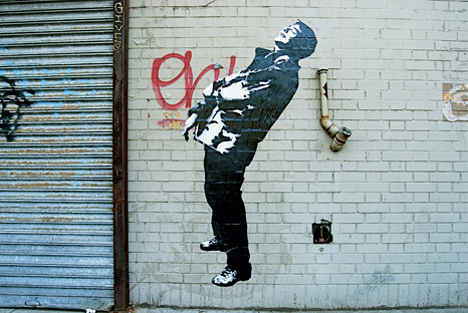 His work over the past 20 years or so has injected a new element into urban art. He says he’s aiming to get to the core of graffiti: the genuine nature of letters. Seak has been invited to create murals all over the world, and the spray paint company Molotow even dedicated their color “Seak’s Futuregreen” to him. 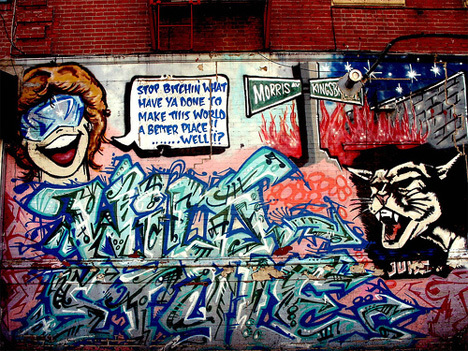 For many kids growing up in New York in the 70s and 80s, graffiti was a way to express themselves, assert their independence and be introduced to the art world. 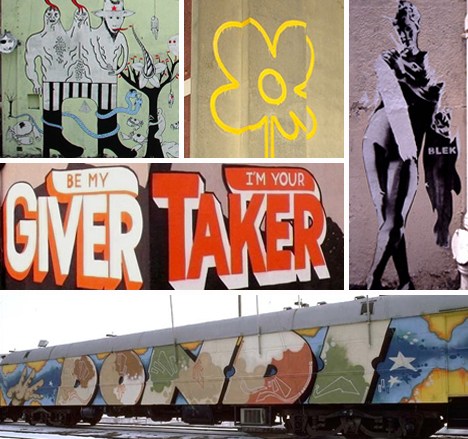 For Alain Maridueña, looking at subway cars covered in graffiti was better than going to an art museum and shelling out money to look at other people’s art. 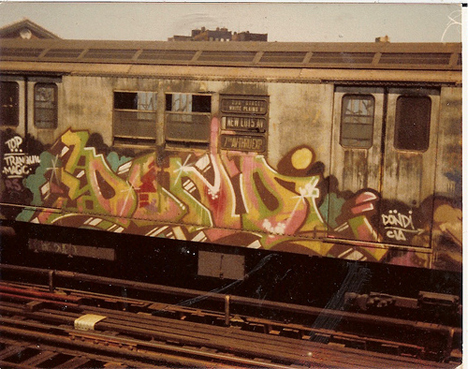 Maridueña, better known by his tag KET, was a prolific train painter in Brooklyn in the 80s. When the Transit Authority decided that no trains would leave the station until their graffiti had been completely removed, KET says the quality of NY graffiti suffered and became sloppy. KET stopped tagging when his first child came along, and has since become involved in fashion, publishing and a variety of other things, including still painting murals – with permission, of course. There’s plenty of Blu’s art online, but frustratingly little about the artist himself – this is the most complete biography we found. 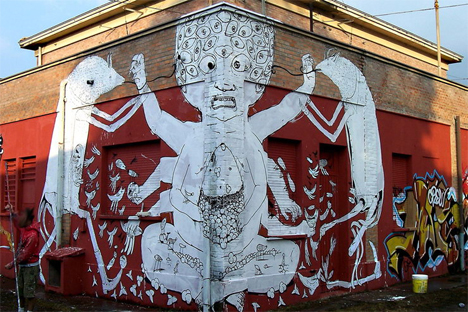 What we do know is that he’s an Italian street artist known for his incredibly compelling style and the well-loved innovative stop-motion animation MUTO. 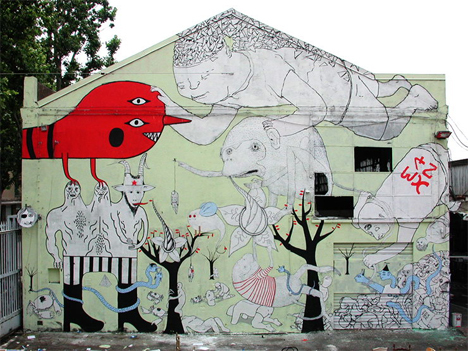 His work can be seen in London, Berlin, Prague, Barcelona, and all over Argentina. His website is full of wonderful things, including lots of sketches and photos of past painted walls. 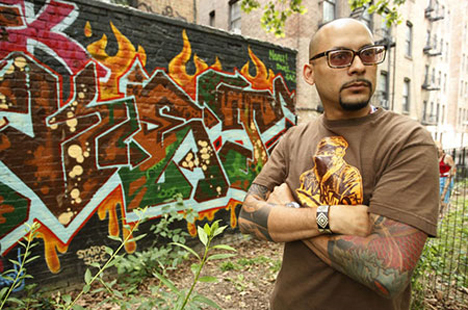 Dondi White, known to most as just Dondi, was one of the most influential graffiti writers ever – he was one of the artists who moved graffiti out of the realm of thugs and gangbangers and into the world of fine art. 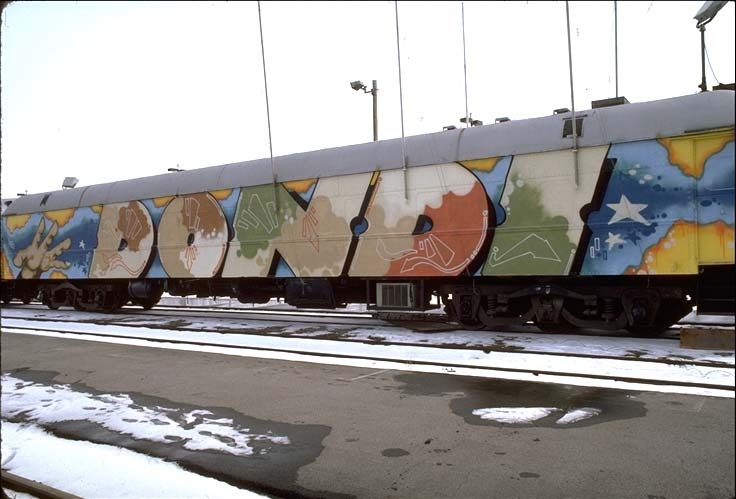 He covered trains with a huge number of pseudonyms, but his work was always recognizable because of his unmistakable style. He was, in fact, known affectionately as Style Master General: his lettering more or less set the standard for the graffiti writers of his day. Dondi went on to display his paintings in Europe for most of the 80s. 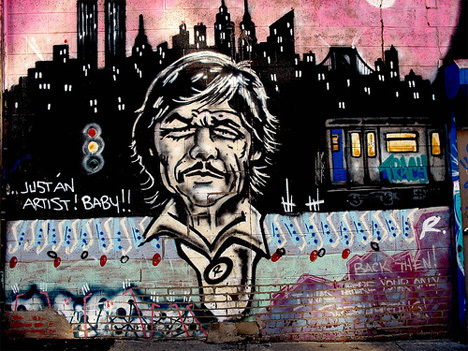 Sadly, he passed away in 1998, but he is remembered fondly throughout the graffiti and art communities.